New: CPAP Comfort Kits - Great for new CPAP Users! Our CPAP Comfort Kits include a CPAP Pillow, a custom fit pillow case, a cannister of Contour CPAP Wipes and a 6' CPAP Hose Cover. You'll save 10% off entire bundled price! 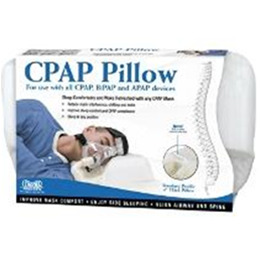 Great gift idea for anyone diagnosed with sleep apnea.